This evening Seattle poet, pie baker, and Pie School founder Kate Lebo and I will be hosting a reading & pie tasting at Trohv DC. 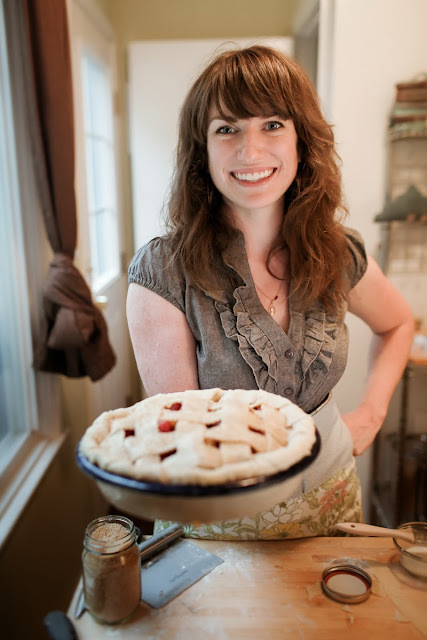 Kate will be reading from her new book A Commonplace Book of Pie, we'll talk feminism, domesticity, and pie, and then serve some! Kate and I have been discussing our ideas on these topics for a while now, we're so excited to share this conversation (and pie) with others. You can find more info via Trohv's facebook invite here. Hope to see you! Labels: A Commonplace Book of Pie, pie books, Pie School, Washington D.C.